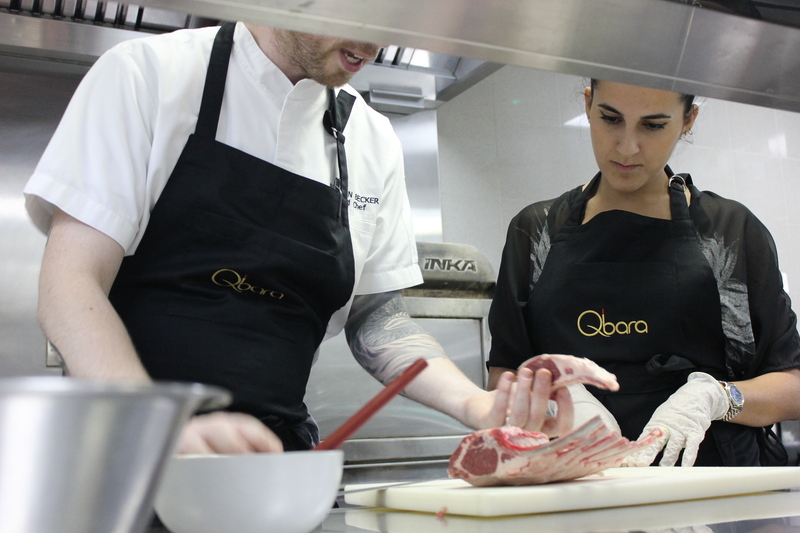 Qbara – a contemporary lifestyle restauraunt, lounge, & bar that embraces Middle Eastern cuisines and culture with a ground-breaking modern twist – has launched 3 corporate team bulding packages: MasterChef Class, Wine Tasting, and Mixology Masterclass. 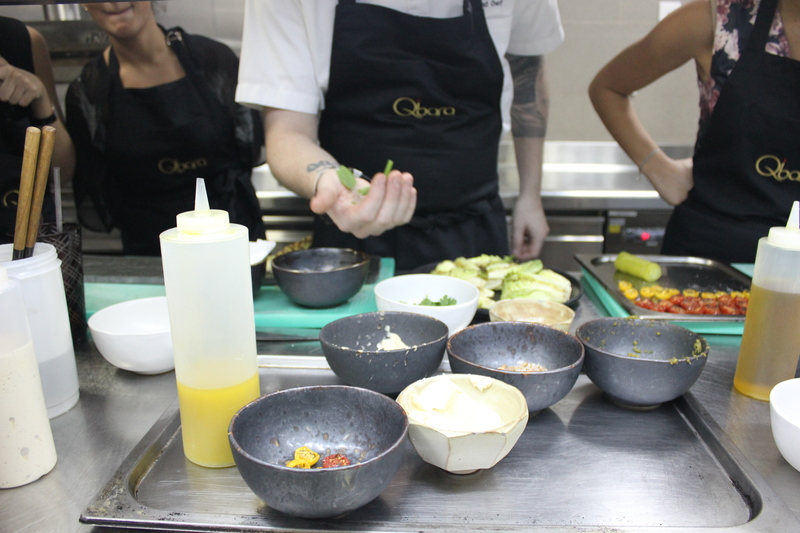 I love Qbara’s food so I decided to host an intimate MasterChef Class and invited a few of my favorite Dubai foodies to experience the fun with me. 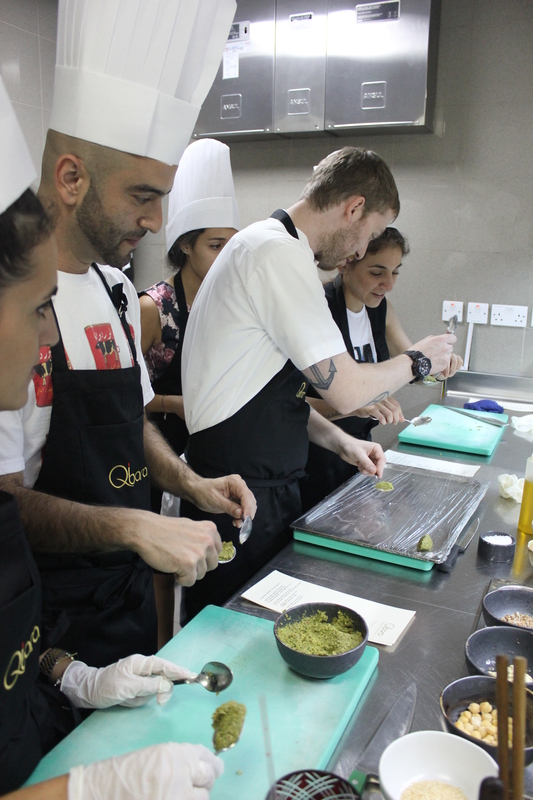 I’m not a cook at home, and tend to prefer baking over cooking, so I thought this would be a great opportunity to learn a few tips and techniques from the team that run Qbara’s kitchen. 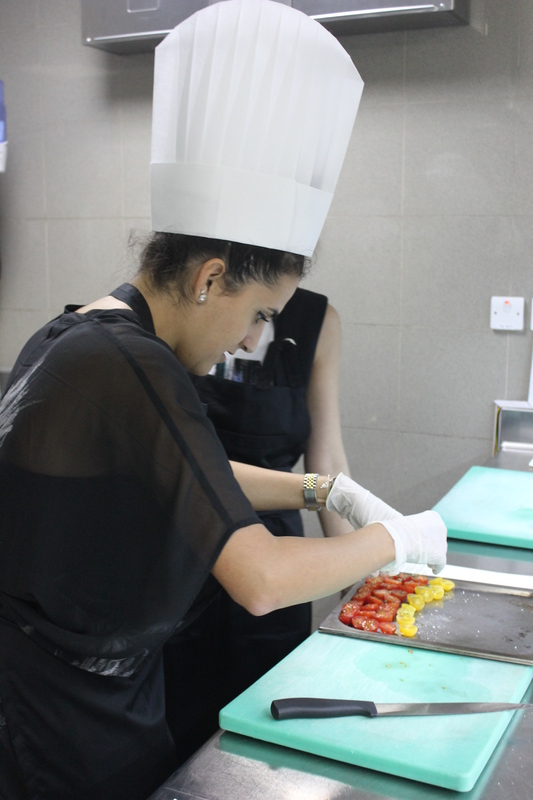 The class took place in the upstairs kitchen, which we had all to our selves! 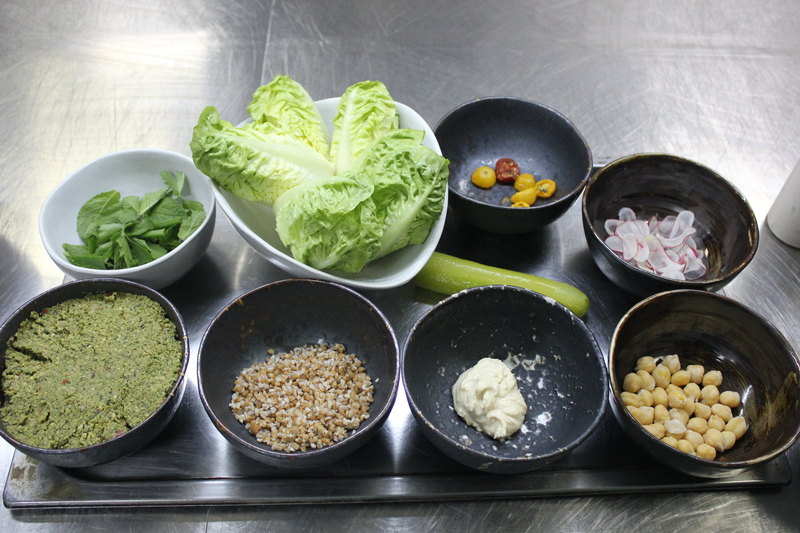 Each menu item was separated by station, and all the ingredients for the class were laid out in front of us alongside the recipe details. 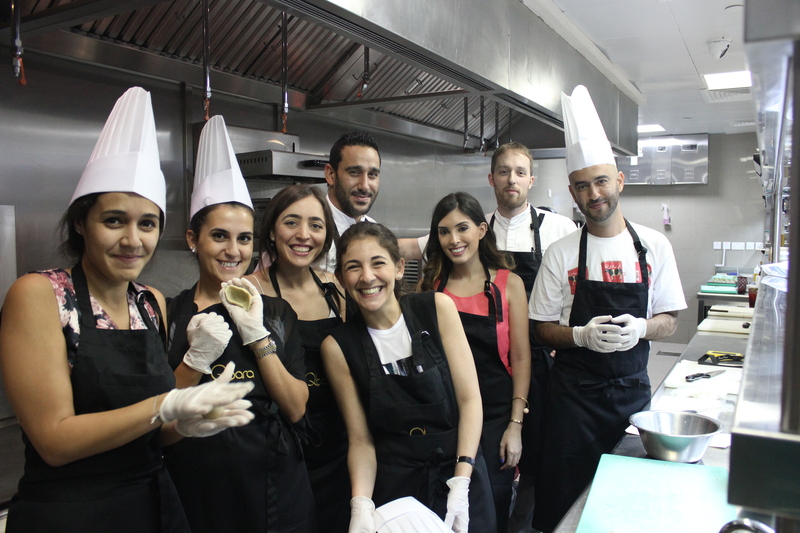 The Chefs guided us every step of the way as we prepared a few of the most popular dishes: Lobster Kibbeh, Falafel Salad, & Lamb Cutlets. After we completed plating all the dishes, it was time to sit back and enjoy our food in Qbara’s spectacular surroundings. 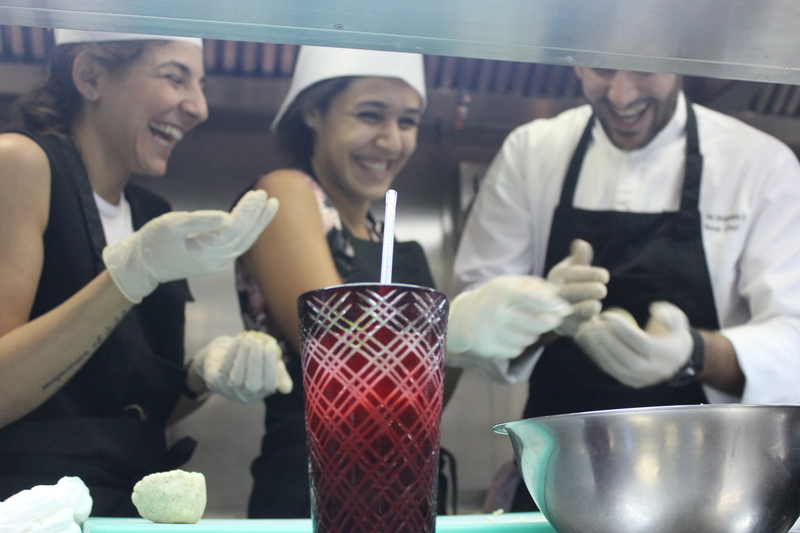 It was such an enjoyable experience, and I must add that we were quite proud of the outcome of our hard work. 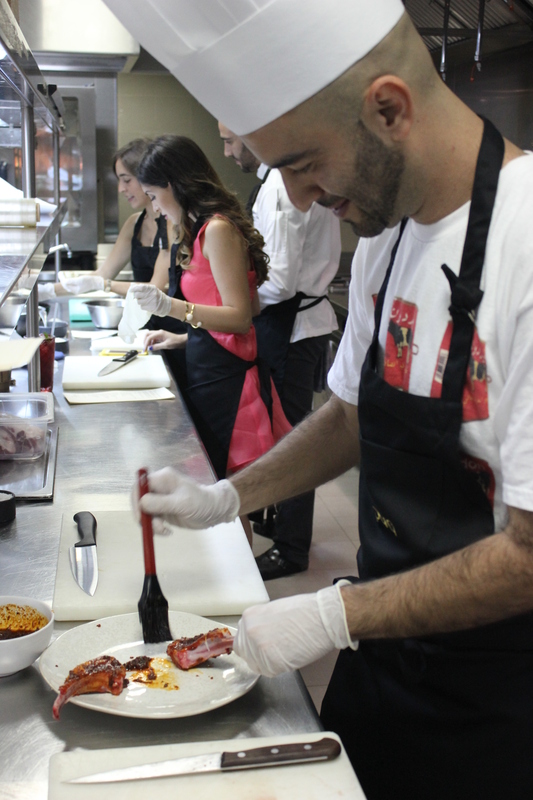 I highly recommend the class for birthday celebration or corporate events. 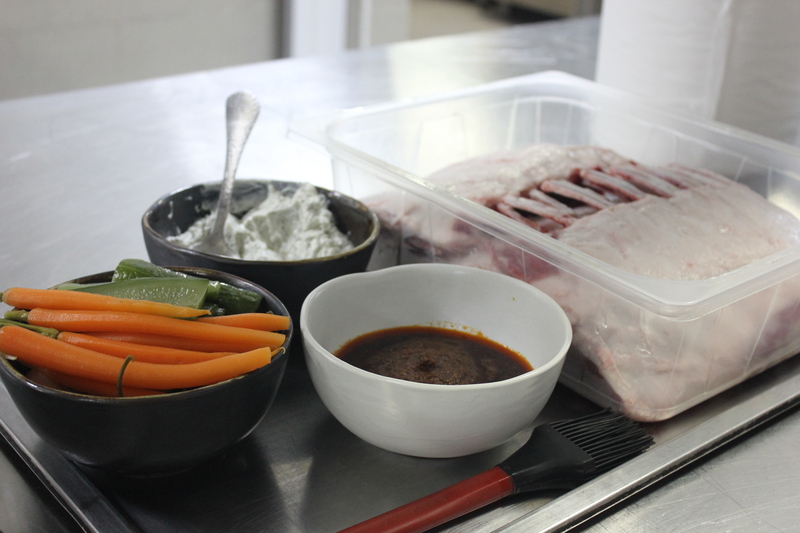 You can book Sunday-Wednesday between 12pm-4pm. 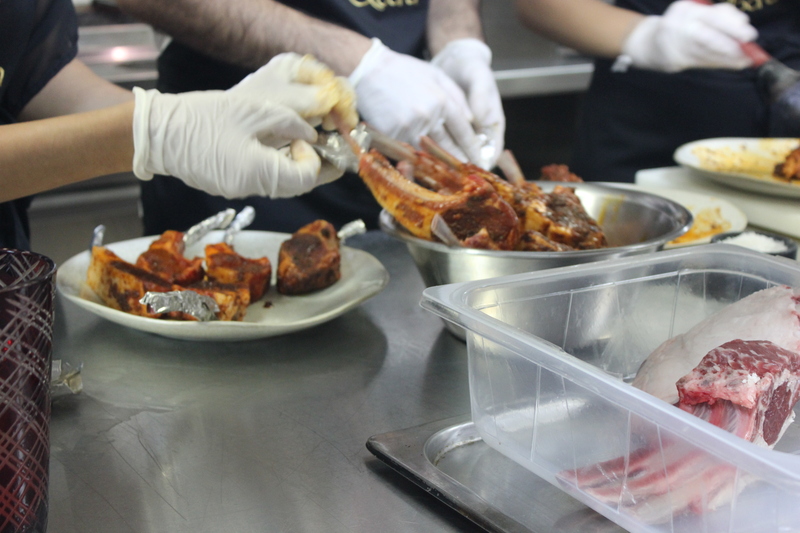 Duration of the class is approximately 1.5 hours followed by lunch. 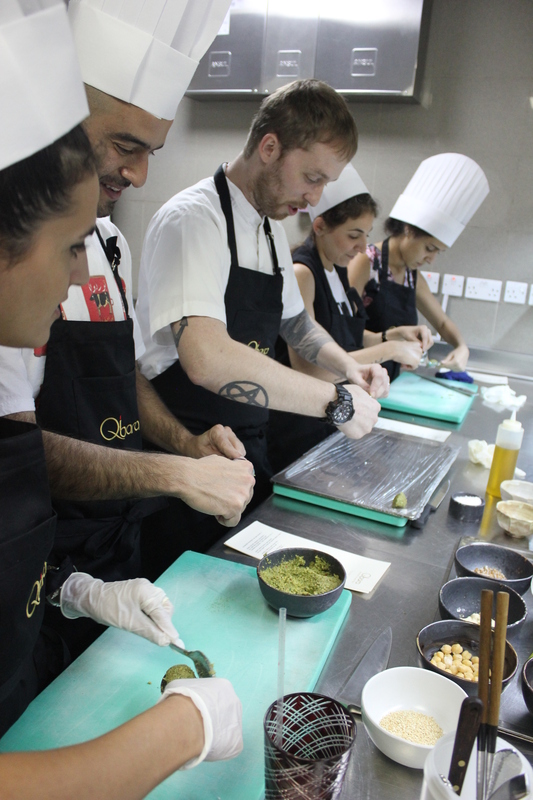 Cooking Class & Lunch: AED 340 per person. (Alcoholic Beverage Packages – an additional AED 95 ; Non-Alcoholic Beverage Packages – an additional AED 60). 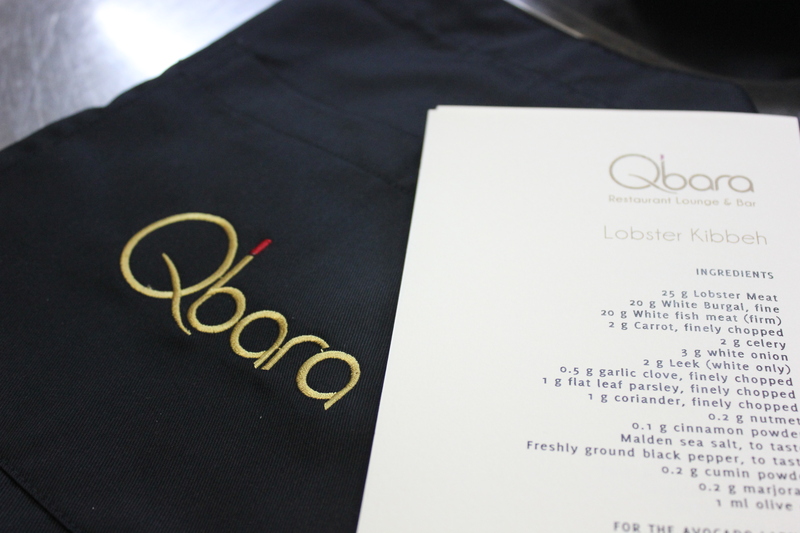 For More Details, Please Visit www.qbara.ae or call 800-QBARA. 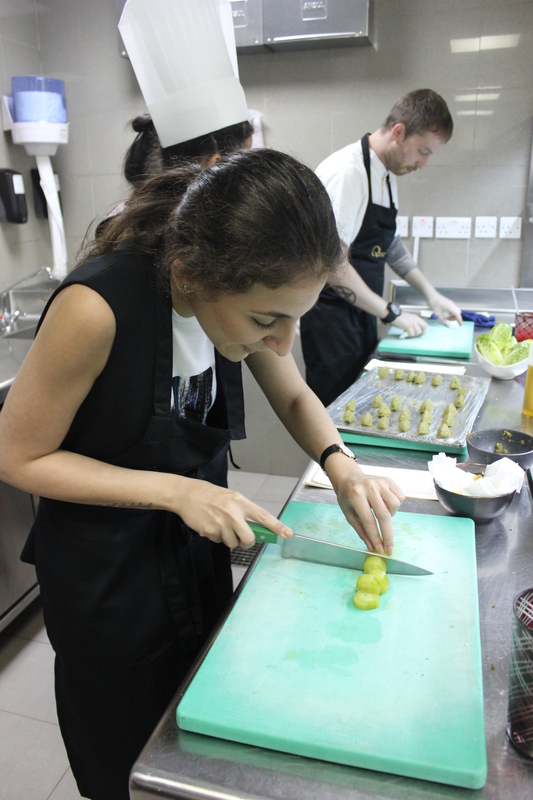 Posted in Foodies, Word Around Town and tagged Cooking Classes in Dubai, Dubai Corporate Events, MasterChef Class, Qbara Dubai, Qbara MasterChef Class, The Scoop DXB. Bookmark the permalink.